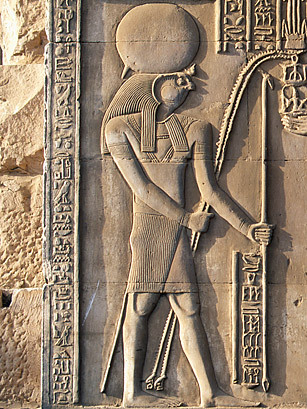 Worship of the ancient sun god Ra, a.k.a. Re, wasn't limited to Heliopolis in Egypt: he lent his name to Egyptian kings, who took the title Son of Ra. Fittingly, given the sun's role in enabling life, he was also a creator god. His preferred method of transportation was a ship rather than a chariot, and, so the story goes, he used it not just in the sky but also in the underworld at night. He was believed to be reborn each day.